When you’re an entrepreneur in Shopify looking to establish yourself as a success in the online retail industry, you don’t want all your free time going towards administrative tasks and other minor things that don’t really warrant that kind of attention. 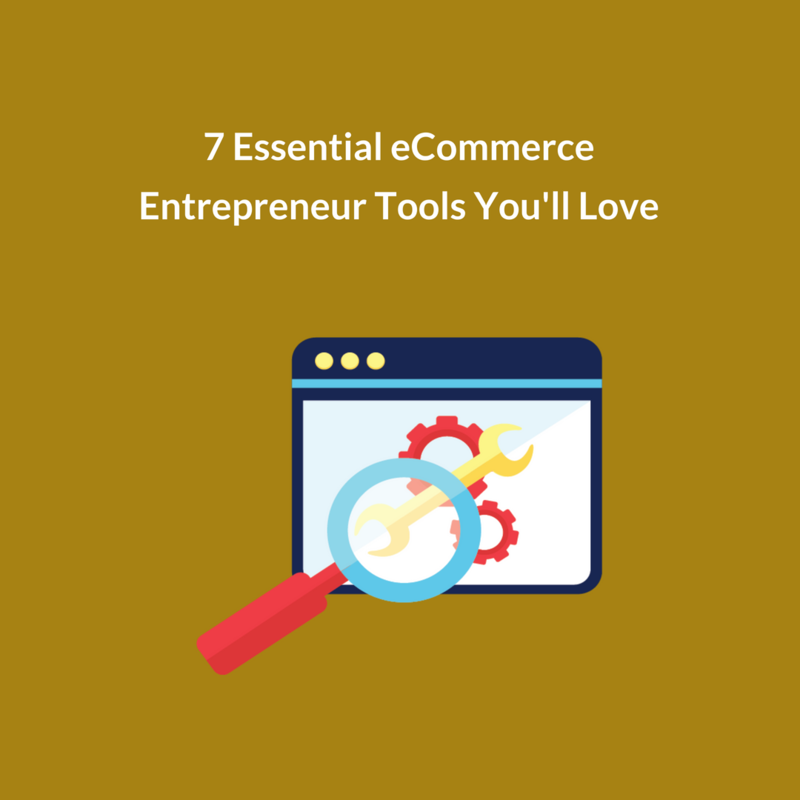 Thankfully, the only world has plenty of ways for the discerning online merchant to save time, money and energy through the use of fantastic (and often very reasonably priced) tools for entrepreneurs in eCommerce. Aside from Perzonalization, of course (because if you’re on this site, you already know why that’s such a valuable tool for eCommerce sellers), I’d like to share my list of the best tools for Shopify entrepreneurs that you should add to your arsenal. A huge part of being an eCommerce entrepreneur is networking with prospective suppliers — making connections, pitching arrangements, and building strong relationships. 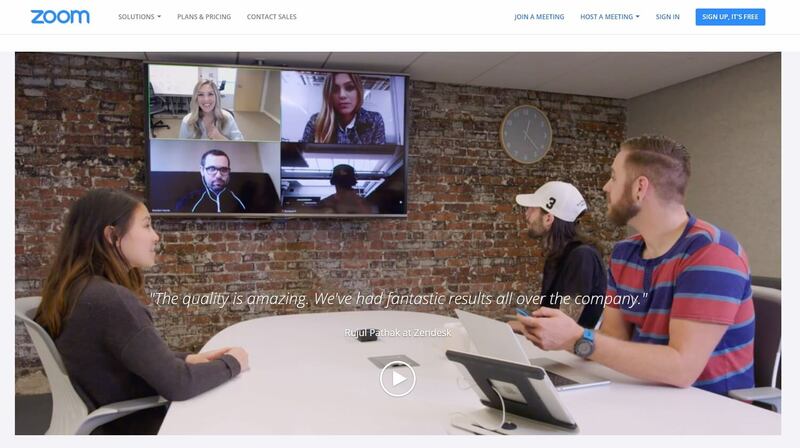 Zoom’s video conferencing platform is an entrepreneur tools that makes networking at a distance so much easier. You can host rooms with multiple people (up to 500 participants) and provide webinars to large audiences (up to 10,000 viewers), making it viable to offer training sessions to sweeten your supply deals. It all runs on a super-stable system engineered to work smoothly across the globe, so even if you’re relying heavily on imports from overseas, you can discuss terms with your suppliers very easily in a relaxed atmosphere. What’s more, it has a free plan that lets you host rooms with 100 participants for up to 40 minutes at a time, and the pricing plan scales very affordably from there to suit your needs. 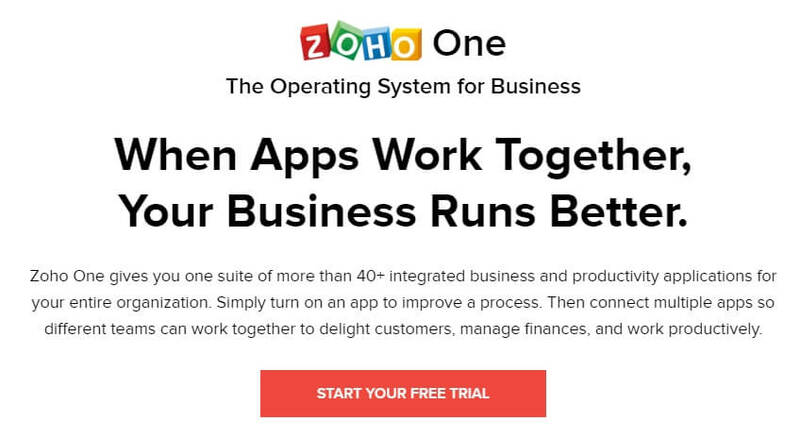 If you want a cloud-based software suite but Google Docs doesn’t meet your requirements, Zoho One might be exactly what you need. Instead of just docs, though, it offers software for a huge range of needs, including finance, sales and marketing, and human resources— taking it to a total of 40 integrated applications. They’re also available on mobile, and absolutely everything is accessible from just one login. For a driven entrepreneur, that’s the perfect arrangement. Everything under your control and no complicated login system. The full suite is $35 per month, which is a steal given what you get for the money. 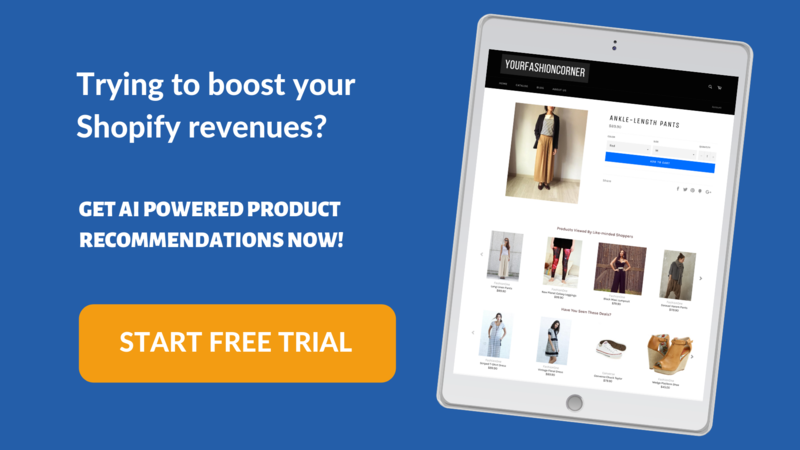 The wide range of integration, multi-channel usage capability and the moderate pricing option makes Zoho one of the best tools for Shopify entrepreneurs. Project management can be a huge pain, even when you’re dealing with perfectly reasonable development teams and designers. Documents go missing, messages go overlooked, and it’s challenging to keep track of what’s happening. Trello is a web-based solution to all of these problems. It gives you a unified area for everything relating to your project, including resources, members, checklists, and due dates, along with all the functions you need to bring them together. It has a great visual style, and it even has a decent free plan with some limitations. If you give it a try and like it, you can get the Business Class plan for just $9.99 per user per month. When you come up with a great piece of content, don’t post it on Twitter once and then forget about it. 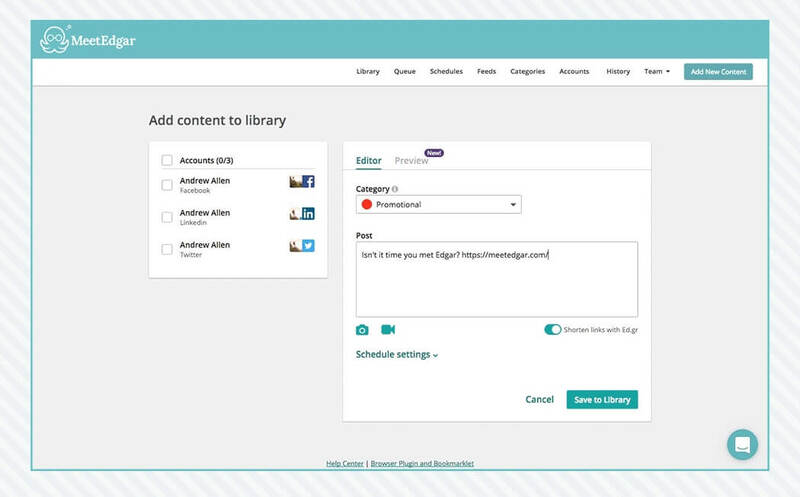 Make better use of your time with MeetEdgar, one of the best tools for Shopify entrepreneurs that is great for social media scheduling as it smartly recycles your content. What’s great about MeetEdgar is that you add your content and then tag it by type so that you can space things out and make sure that you get the most out of every comment. Build up a library of decent posts and let it distribute them over time for maximum effect. It costs $49 per month for up to 25 social media accounts, which is relatively pricey, but I’d definitely say it’s worth it. Entrepreneurs don’t want to settle for second-place rankings. They want to reach the top, and the way to do that is to do plenty of in-depth competitor research. Unfortunately, that usually takes a lot of time… but not with SEMrush. SEMrush is an all-in-one toolkit for marketers that audits competitor websites and reveals all of their tricks. With keywords, backlink profiles and technical audits, you can quickly reverse-engineer strategies that cost top companies a lot of money to devise. The basic Pro plan starts at $99.95 per month, but as a small business entrepreneur, if you’re serious about beating the market leaders, that’s a really small price to pay. In the first days of your eCommerce business, you’re not going to have funds to throw at lengthy digital advertising campaigns. This alone makes SEMrush one of the best tools for Shopify entrepreneurs. 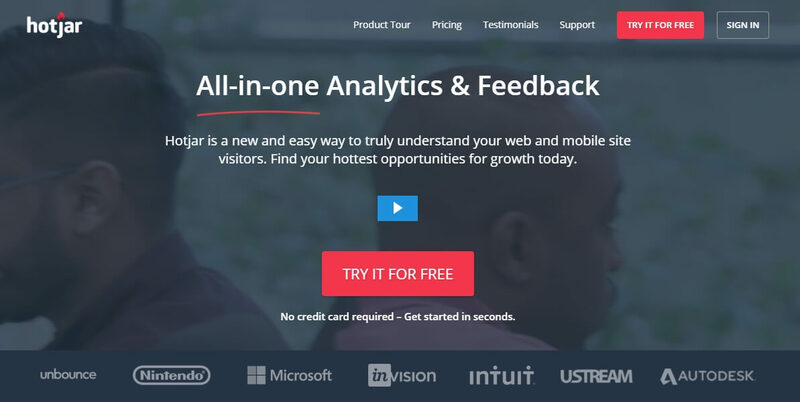 If you have a website bringing in a lot of traffic, but you’d like to know more about how visitors are using it, look no further than Hotjar. You could think of it as a much more user-friendly alternative to Google Analytics. Compared with other entrepreneur tools, I can say that Hotjar is extremely easy to configure. You just take the tracking code provided in the admin area of your account and paste it into the head of your page. If you created your site using an automated builder, no problem— Hotjar natively works perfectly with all the leading systems (read here about how Build Grow Scale implemented it on a store built with Shopify’s quick estore creator and achieved spectacular cost reductions). Once Hotjat is up and running, you can see which areas of your site users are focusing on, and even look at (and record) real-time user sessions to follow every click and every scroll. It’s an incredible look into how your UX is functioning. If you’re looking for ways for growing a small business in eCommerce, improving your website’s user experience will be one of your priorities. Hotjar is likely to provide you with the relevant consumer insights to enhance your website’s UX. Creating high-quality graphics can be a huge drag on time. Even if you’re proficient with something like Photoshop, you can’t just breeze through it. That’s why time-saving template tools like Piktochart are so useful. With Piktochart’s simple but customizable drag-and-drop template-led system, you can whip up infographics, presentations and charts in minutes. And when you want some input, you can easily share your work and get comments. For the full plan with HD exporting and without watermarks, you’ll pay $24.17 per month, which is great value given how much time it will save you. There you are; the best tools for Shopify entrepreneurs that I think will ease up the process of starting a business and growing it in the shortest amount of time. These are listed among the best tools for small business owners as they’re likely to both save your time and money. Give them a try (and check out these SaaS tools for even more recommendations) — I’m extremely confident you’ll be glad you did. Written by guest author Kayleigh Alexandra who is a content writer for Micro Startups [@getmicrostarted], a site dedicated to supporting startups and small businesses of all shapes and sizes. Kayleigh Alexandra is a content writer for Micro Startups [@getmicrostarted], a site dedicated to supporting startups and small businesses of all shapes and sizes.